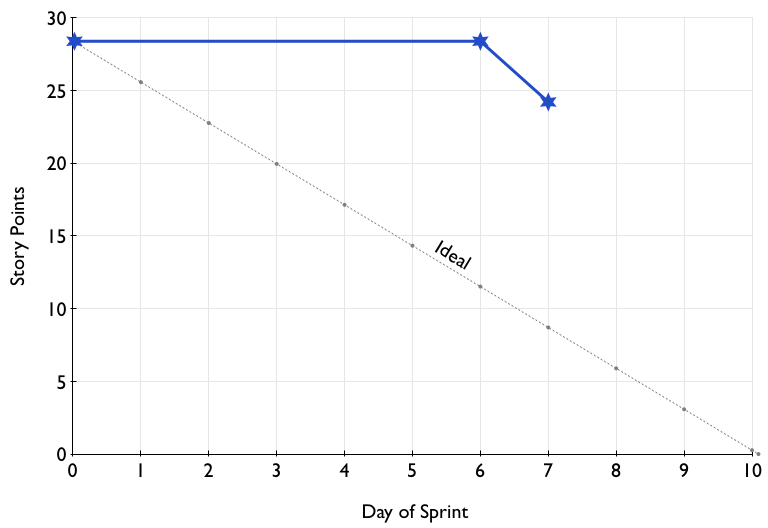 Here’s a quiz for Agile team members using burndown charts. Seems pretty good, right? Work is getting done, pretty close to the ideal line. Nothing to fret over, especially if the mood of the team is good. We’re about to start the eighth day of a ten day sprint… now it looks like panic. 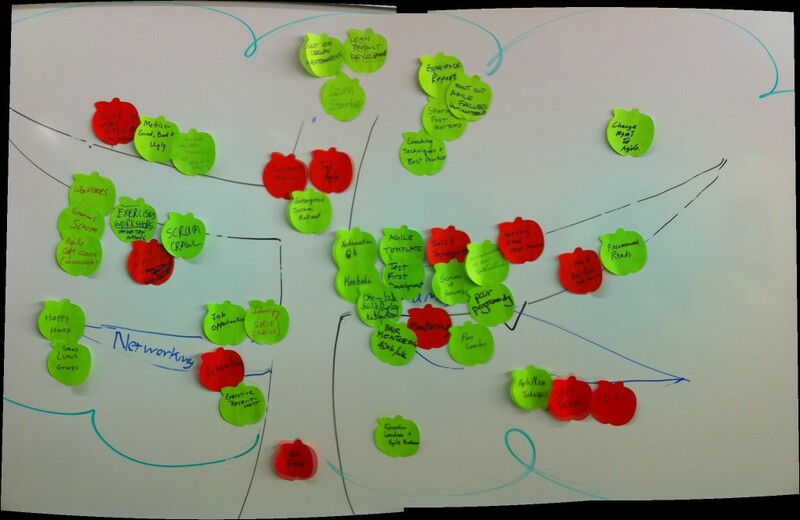 At least a few story points are done-done… but clearly the team hasn’t actually finished much of the work in the sprint. Will it all get done? Will it all get done? Are we looking at a mini-death march? How could there be such a mismatch, and what can we do about it?!? A team I was coaching was really struggling to complete stories at the end of the sprint. They were being very diligent, but no matter “hard” they tried it didn’t change the emergency they experienced at the end of every sprint. In particular, they tried harder to get better at estimating task hours and making sure to level everyone’s hours…. I became clued into all of this when I was asked: “John, do you think 6 hours per day is reasonable?” This was a sure indicator that the team was missing the forrest for the trees – loading individuals with tasks/hours at the expense of a team getting work done. This was setting each individual up for failure: either I can help my colleague/friend… or I work on what I committed to doing! I don’t like no win situations, especially when it hurts people. The team did this, and the result was amazing. Everyone felt free to collaborate and the stories were completed more smoothly. This team did reintroduce some hours back into their process, but they had changed: collaboration and value over hours and tasks. 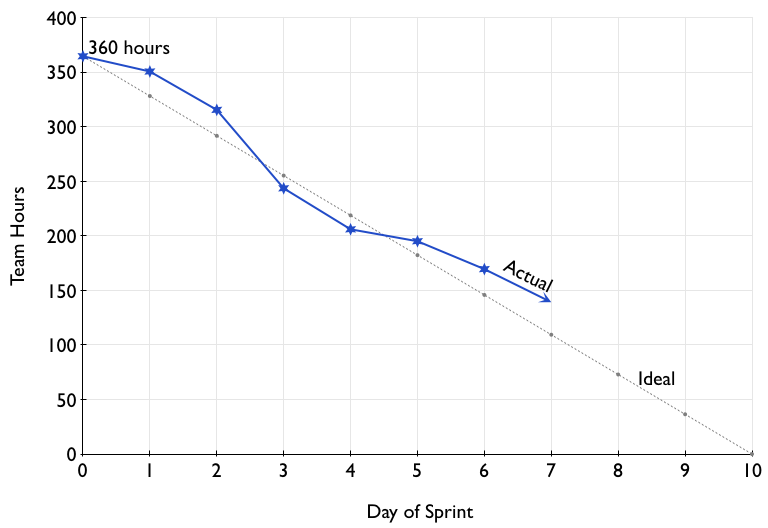 Note on Kanban: As an interesting note, today most Kanban teams don’t bother with hours, and also don’t estimate stories! (They do often group by size.. so there is still some judgement of effort.) These teams track only cycle time (from start to end) of stories on the board. This gives the same focus on collaboration over hours tracking that I suggest in this post.